Food is one of the basic things in life, we all need food to survive but having a restaurant business is more than just serving food, its about serving a well prepared, well served food in a good environment and healthy environment. Everyone wants to go out to a good restaurant, friends, colleagues, husband, wife etc so having a good restaurant where well prepared meals are being served is the key to retaining your customers. Nowadays investing in restaurant business is one of the best things to do but one thing you must note is that its a business of service than product, the satisfaction of your customers is your utmost priority and non-negotiable. Starting a restaurant business has nothing to do with how well you can cook, so if you are thinking of going into this business because of how well you can cook you are already missing the mark, you can run one of the best restaurant business in your town whether you have a little or no experience in cooking all you are required to do is get a good restaurant business plan that will help you plan and prepare for the business. Before you start a restaurant business you have to bear in mind the kinds of restaurant you want to have, the kind of restaurant relates to the social status of the customers you intend to attract to your restaurant. One important thing to do is to study your location and the environment of your business so as to get the desired result. 1. Fast Food Restaurants – This is one of the most popular restaurant business in Nigeria and its very lucrative. We are in the 21st century so every body is looking for a fast way to do things. In a fast food restaurant food like fries, chicken, burgers, chips, drinks etc are served. Customers can eat in, take out or there could also be a delivery service. 2. African/Traditional Restaurants – This is also a popular restaurant in Nigeria where all sorts of local delicacies are served. Nigeria is blessed with different ethnic group and this folks have their local delicacies and this type of restaurant are where you get them. 3. Fine Dinning Restaurants – This are high class restaurants for the top people in the society. In this type of restaurants they have what is called courses like 3 courses meal or 5 courses meal. 4. Casual Dinning Restaurants – This type of restaurants is an organized place where food are served in no particular order. The environment is very peaceful and relaxed. The cost of starting a restaurant business varies, it depends on the kind and class of restaurant you want to set up. Your location is a huge factor in this business. Below are the things you need to start up a standard restaurant. Gas cooker, refrigerator, microwave, deep freezer, generator, furniture, cooking utensils, air conditioner, television, POS, automatic cashier system. This is dependent on the kind and class of restaurant you want to have. 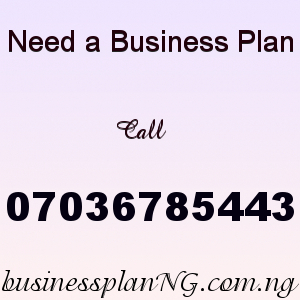 To set up and run a successful restaurant business in Nigeria, you would need to plan for it and this is why its advisable to get a well detailed Restaurant business plan in Nigeria to help you. This business plan will serve as a guild in the initial stage and will also continue to control the way you run the business. Our sample Restaurant Business Plan In Nigeria can be used to access bank loans, proposal writing and grant applications. The business plan was complied after a thorough feasibility study on Restaurant Business In Nigeria was done. After paying for your Restaurant Business Plan In Nigeria & Feasibility Study, send your email and payment details to 07036785443.